Samsung wasn’t as successful with its Windows phone (Ativ) line up as it is with its Android phones. How ever that has not seemed to discourage the South Korean Giants at all as they get ready to introduce their new Windows phone code named Huron (SM-W750V) this year. 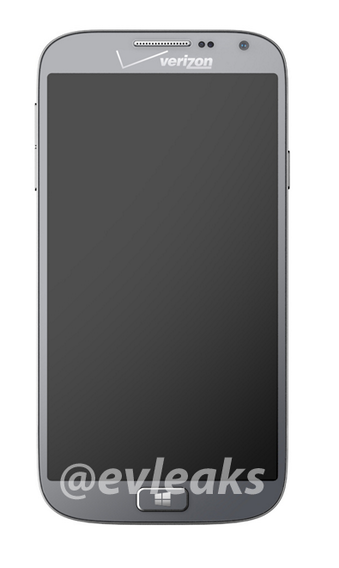 Thanks to our leakster friend evleaks, a picture of the new Samsung Window’s Phone is caught in the wild. According to the leaked specs, the device seems to be around a budget-friendly range with not such a powerful processor. The strange part though is that it sports a Full HD 1080p 5-inch display. So a budget phone with a 1080p display, sounds interesting doesn’t it? The chip powering the device is a quad-core Snapdragon CPU with the Adreno 305 GPU,, so the question arises that will it be powerful enough to bring out the 1080p display properly. So lets see how the South Korean giant fairs in round two of its Windows phone battle with Nokia!